GUI for diskdump (dd). Harddrive clone and imaging tool.This is a open source Graphical User Interface for the Unix Command dd. 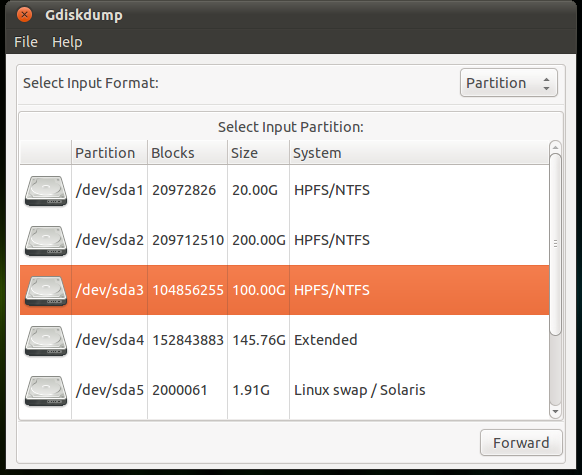 You can easily select the Input- and Outputstream, so you can clone or image your Harddrive or Partition. Download db package from here .Once you have deb package you need to install by double clicking on it. Download deb package from here . Once you have deb package you need to install by double clicking on it. Have a look at AIR – Automated Image an Restore. Trying to use on Debian desktop.